The Mack Innovations Javelin™ Water Lance is an airborne insulator washing system designed as part of our unique, modular, Hydra Utility Mount System (HUMS™). Able to be installed with no aircraft modification, the HUMS™ provides a structural platform for Mack Innovations AS350/355 Utility Construction mission kits such as the Javelin™ Water Lance, Line Access Platform and the Skystep™. 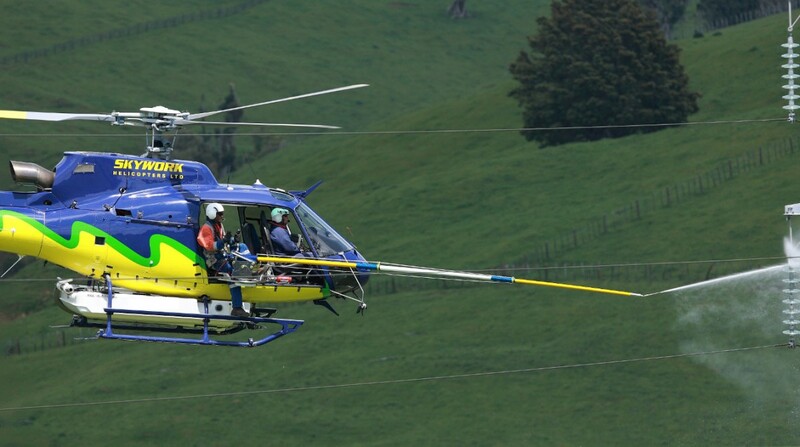 The Airbus AS350/355 series is a premier utility helicopter, with its high performance and load capacity making it ideal for powerline construction and maintenance projects. The HUMS mission kits extends the capability and value of the helicopter by allowing rapid reconfiguration and multi-role usage of a single helicopter on a project. The Javelin™ Water Lance insulator washing system was designed to allow the AS350/355 aircraft to allow a rapid, safe method to wash insulator strings on high-tension powerlines. Javelin™ has a maximum operating pressure of up to 2000 psi at 50 litres of flow per minute, with nominal operation at 1500 psi at 42 litres a minute. With the Javelin’s specially designed nozzle this results in approximately 25 lbs of impact force at 8 meters, with a range of up to 16 meters from the tip of the boom. This results in a wide working window without maneuvering the helicopter, increasing efficiency and reducing risk. 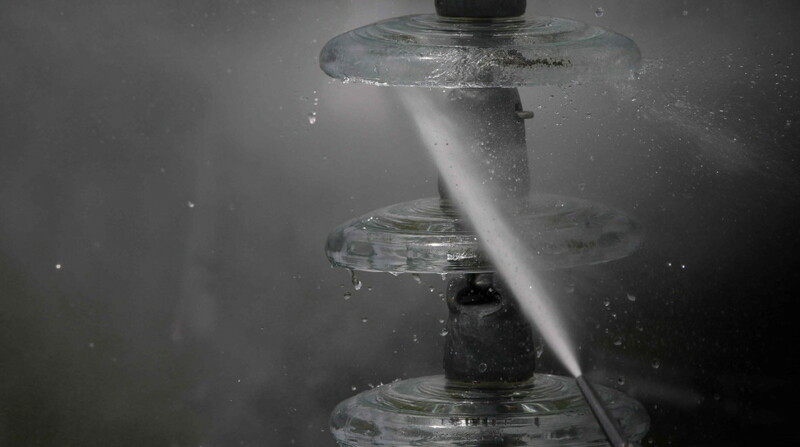 Washes more insulators in less time than the competition. AS350/355 can carry up to 850 litres of water depending on aircraft configuration.